Users must opt-in to turn on notifications. This feature will only be visible while using Google Chrome. Users can control which notifications they receive, on a per-device basis. To make users aware of these notifications, Google Drive will show a message in the bottom left of the document list, outlining the benefits with a link to enable the feature. 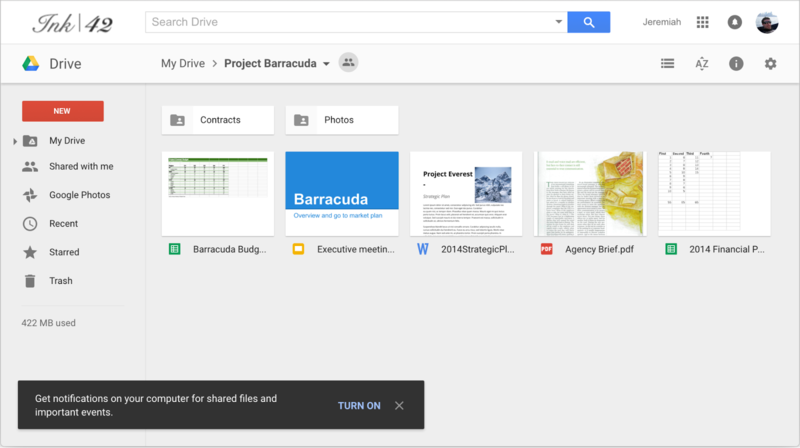 We’re pleased to announce that Google Drive will now support web notifications when your colleagues share Google Drive files with you, or request access to files.